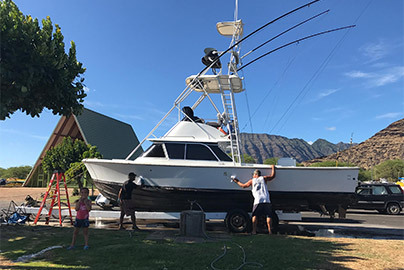 Although there are many fishing charters in Honolulu, most of the fishing on Oʻahu happens on the west side of the island. 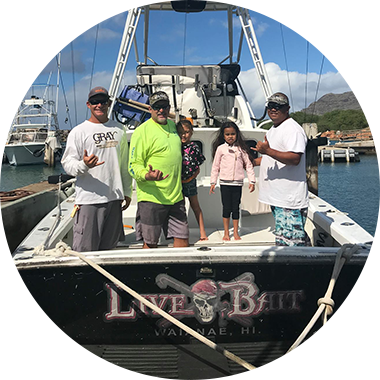 Located in the Waianae Boat Harbor, Live Bait Sport Fishing has been ranked as one of the best fishing charters on Oʻahu since 1985. 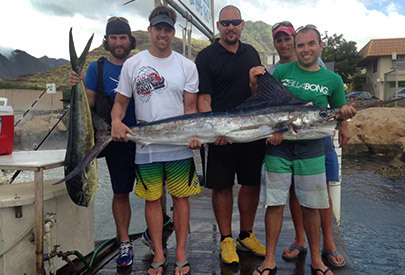 Because we are closer to the fishing waters than the Honolulu boat charters, it gives you more time to catch fish. 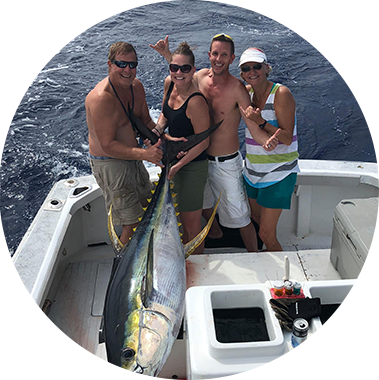 Using innovative fishing techniques, we offer full and half day fishing charters to accommodate your needs. Looking for Things to Do in Hawaiʻi? Charter a Boat! 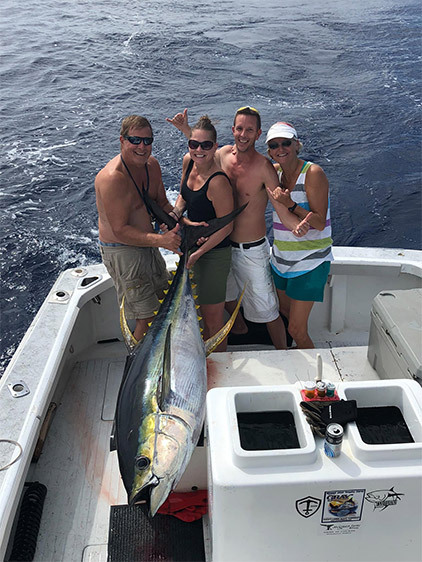 There are many things to do in Honolulu, but chartering a boat with Live Bait Sport Fishing should be at the top of your list. 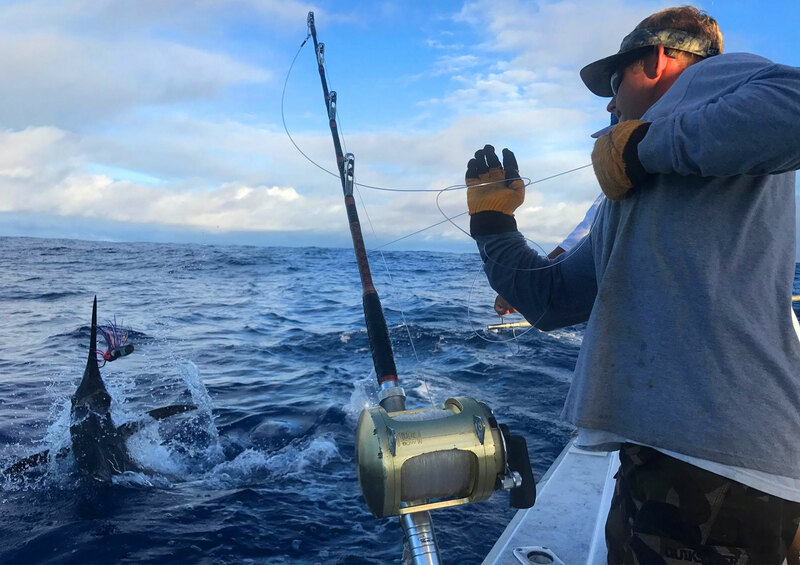 The island of Oʻahu has the privilege of being a gathering spot for large pelagic predatory fish. These fish continually migrate in deep blue ocean water, and when their migration is interrupted by an island, they tend to swim to shallow waters to feed. The Waiʻanae coast of Oʻahu is such a place with a large concentration of fish. Want to Catch the Huge Fish? Established in 1985, Live Bait Sport Fishing is a family-owned business that has been providing fishing charters for over 31 years. 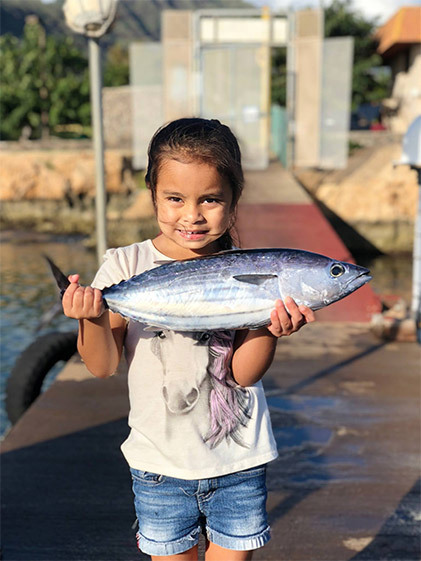 Located in the Waianae Boat Harbor on the west side of Oahu in the Hawaiian chain, we provide the opportunity for anglers of all levels, from avid to beginners, to catch the fish of their dreams. We offer deep sea trolling with light to heavy tackles, lures and live bait. Ranked as one of the best charter boats in Oahu! At Live Bait Sport Fishing, your safety, enjoyment, and comfort are our main priorities. 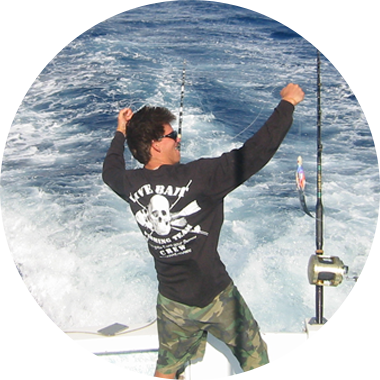 Our fishing charters are one of the most fun and exciting things to do in Hawaiʻi. (808) 696-1604 or (808) 479-9016. You can also send us an email at shannon@live-bait.com.